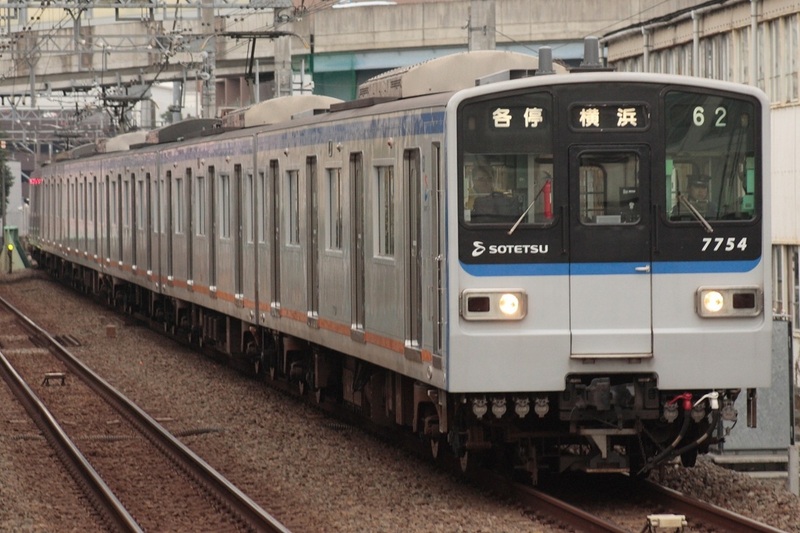 The New 7000 Series is a four-door commuter-type electric multiple unit operated by the Sagami Railway Corporation on the Sotetsu Main Line and the Izumino Line. The basic design of the New 7000 Series started out as a face-lift for the old 7000 Series and were equipped with rheostatic drive. However, trains built from 1988 on are equipped with variable frequency drive (Called VVVF in Japan) and have fewer motorized cars. 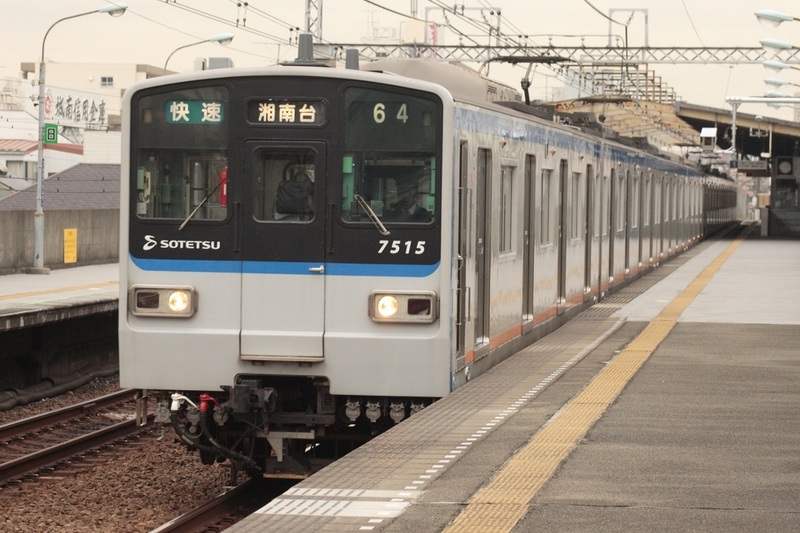 The New 7000 Series continues to use the Hitachi-style electromagnetic straight air brakes but were the last Sotetsu trains to adopt this system. VVVF formations are capable of regenerative braking.